Our friends in Ma’alot had us over for Shabbat and made us this delightful drink. It was a wonderfully refreshing drink for a hot afternoon! Maple Strawberry Margaritas are an easy to prepare treat that can be made with lots of substitutions- swap out the strawberries and use cherries, blueberries or any other berry you have handy to get your dose of nutrients, minerals and anti-oxidants. Or try a strawberry-raspberry mix and maybe a little more maple syrup for those very sour raspberries. This recipe is a good example of how you can substitute maple syrup for sugar. You can also swap out the liqueur part and use any tangy flavored liqueur that you have on hand. 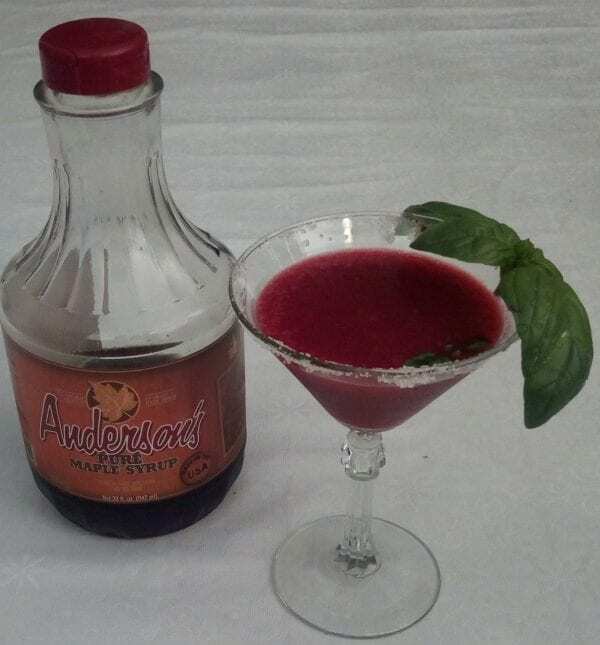 A twist on the Strawberry Margarita- using some Grade A Maple Syrup as a sweetener. This made about 4 drinks for us and was a nice way to cool off on a hot Shabbat afternoon. Keep it in the fridge until you are ready to enjoy it.